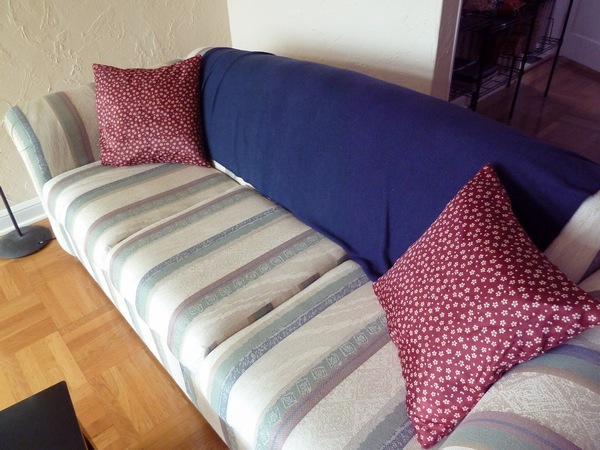 In a small effort to reduce the amount of hoarded fabric lying about the house, I picked up two couch pillows from Ross. 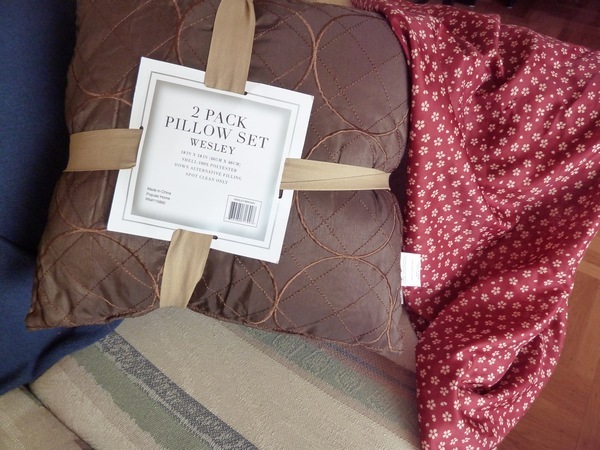 Typically I find that buying pillows from Ross is cheaper than buying pillow-forms from the craft store. 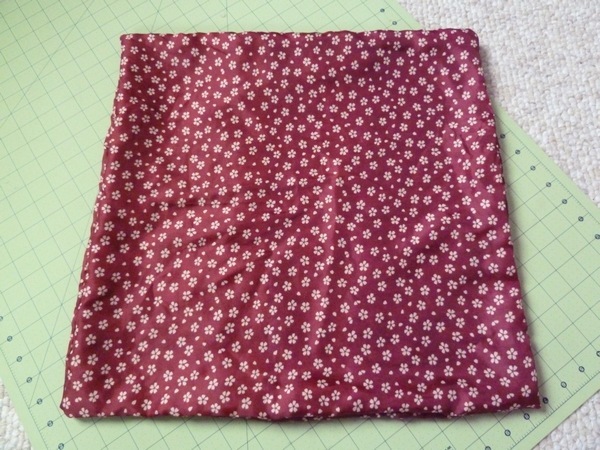 After measuring one of the pillows (18" x18"), I cut out three pieces of fabric, one 19" x 19", and two 19" x 12". 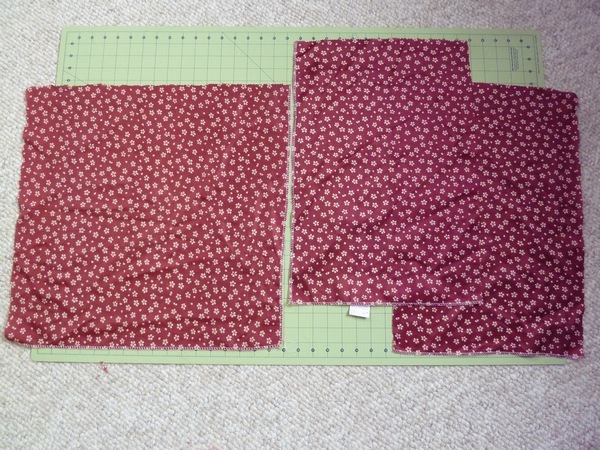 And then place all three pieces together in a sandwich (with right fabric sides facing each other). The square piece on the bottom, followed by the two rectangles. The rectangles should overlap. 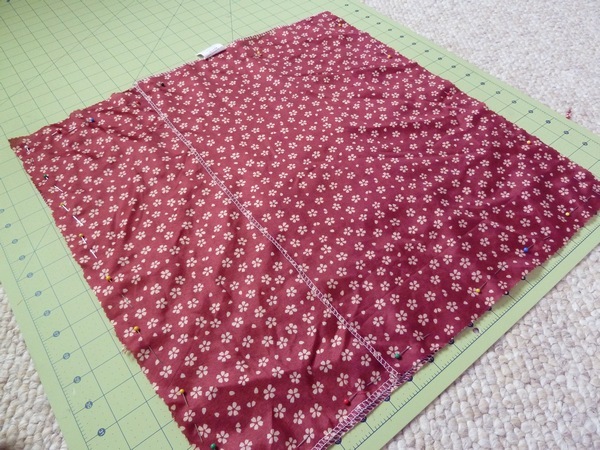 Pin the entire square in place. Three layers in the middle! 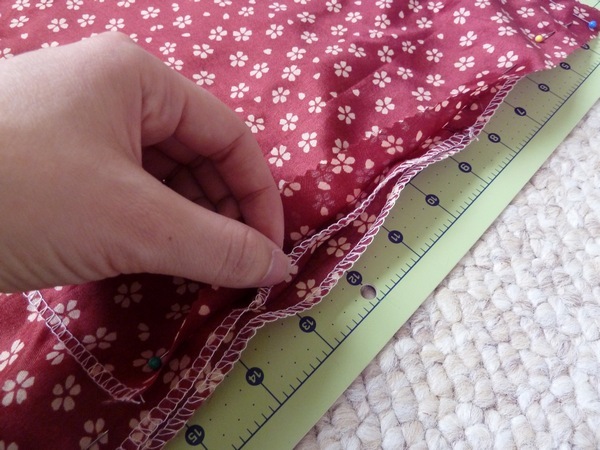 Last easy step - sew around the entire square! 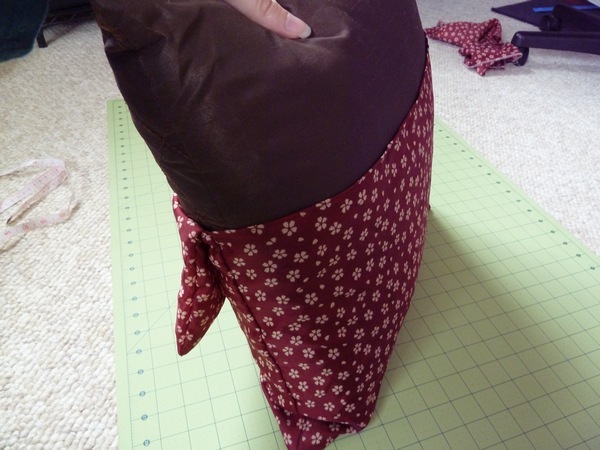 Then reverse - one pillowcase! 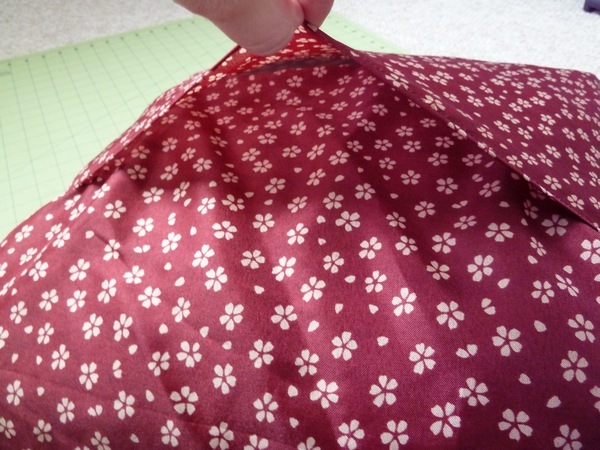 The moment of truth - stick the pillow in to see if it fits! 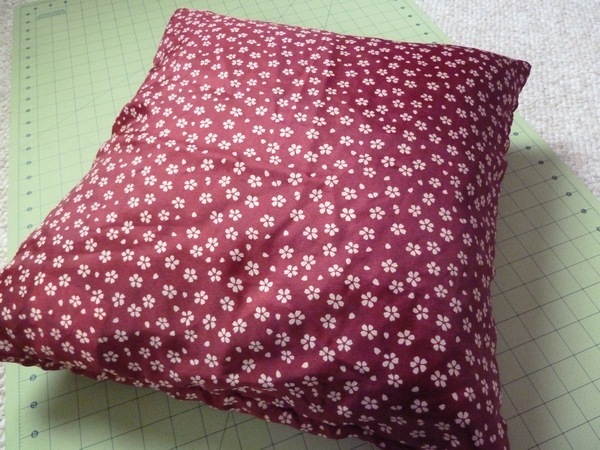 I love pocket-type pillow cases..no itchy scratchy zippers to get in the way! 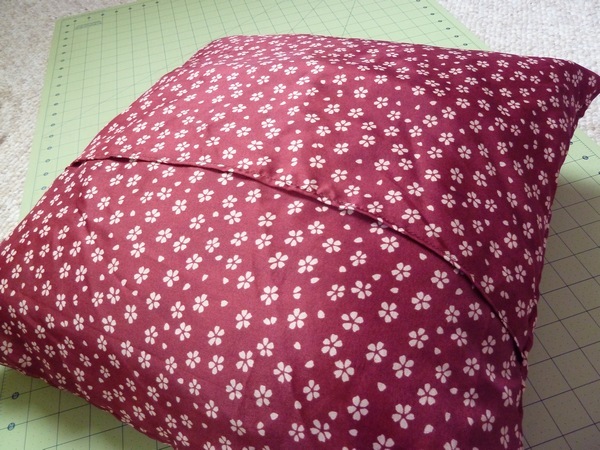 And because there was some overlap with the two rectangle fabric panels, the whole pillow is still completely covered. Yeah, that blue throw blanket might have to go. At least these new pillow covers will match our rug..eventually. Haha! How many pillows are you supposed to have on a couch anyway? I kind of want to make more. 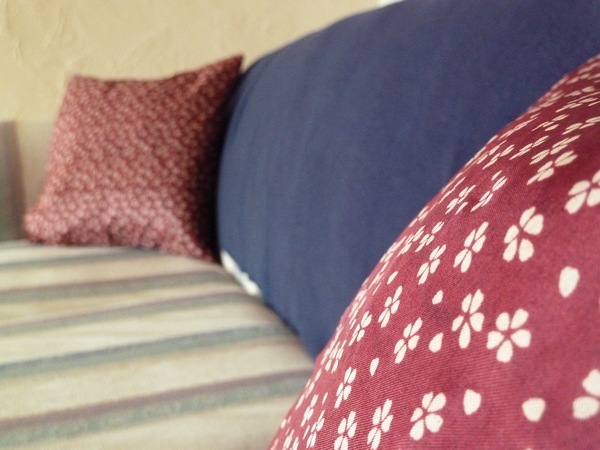 How many pillows do you have on your couch? Love them! We have a giant sectional, but we have 8 throw pillows, haha. And I'm pretty sure we could go for a few more. I love tons of pillows on my couch! 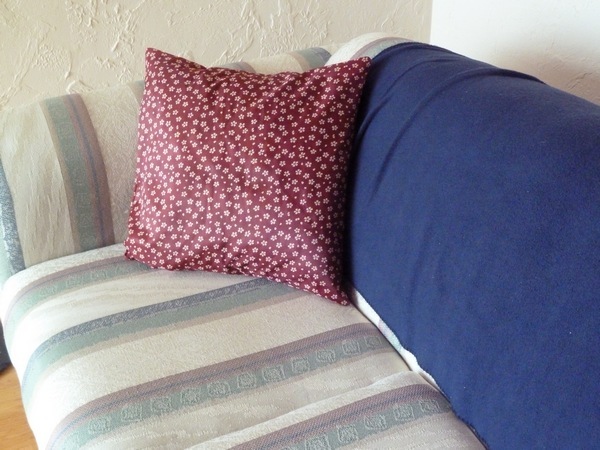 Such a great idea to get the pillows that you want! We only had a couple of throw pillows on our old couch, but I always wanted to pick up some more since the dog usually would hog them. 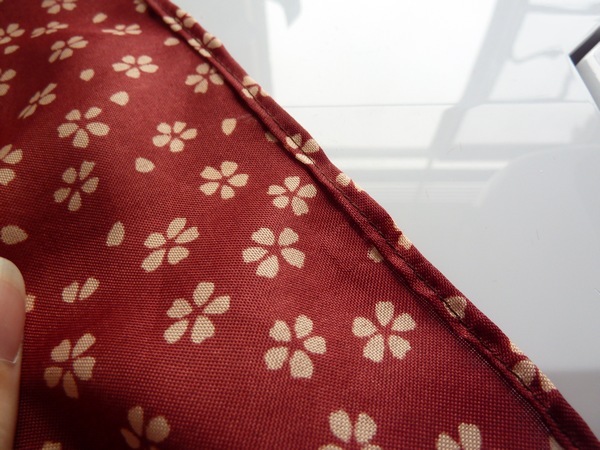 I've always wanted to make everything in my house out of jersey fabric. I think it would be wonderful to have jersey pillows, oh so comfy!